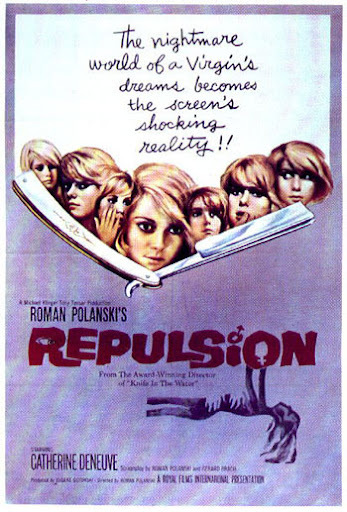 I just finished watching 'Repulsion' by Roman Polanski. Came across the movie when I was reading Abbey Karson's blog entry. I'm nowhere near a critic, despite having done film studies. Apologies to my professor... Not that he taught me anything. But I did enjoy the choppiness, the non-diegetic sounds and the black and white of old movies. There was one part when the protagonist, Carole Ledoux (Catherine Deneuve), was screaming. She had her mouth opened and you hear the scream but you know that the scream isn't from her. It's a voice-over but it made the scene even scarier. 'Repulsion' makes up Polanski's 'Apartment Trilogy (The other two being 'Rosemary's Baby' and 'Le Locataire'). Carole was a beautiful lady who seemed to live in her own world. She acted awkward around men but when she was left alone in the apartment when her sister took a vacation with her married boyfriend, she cracked up, killing the men who came near her. Umm... That's the best I can do for a summary. Heh. Anyway, Catherine Deneuve was perfect in every sense of the word. The way her character displayed her disengagement with the world; the distant eyes, the way she looked glazed at times and then, all of a sudden, her eyes started to dart around frantically, the way she looked at imaginary cracks... It isn't hard to see why she's adored by Chanel and Yves Saint Laurent. 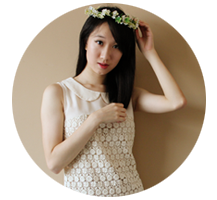 And is she completely gorgeous (Pictures here.). John Fraser's Colin is the man that I would like to marry. Sensitive, manly, devoted to the lady he loved... A girl really can't ask for more. Unfortunately, the lady of his dreams was made damage earlier on by an inhumane creature and he died in a most gruesome way. And umm... I'm going to end awkwardly here because my brain literally just shut down. Lol. Mind's drawing a blank now so I shall retire to bed. Nights y'all.